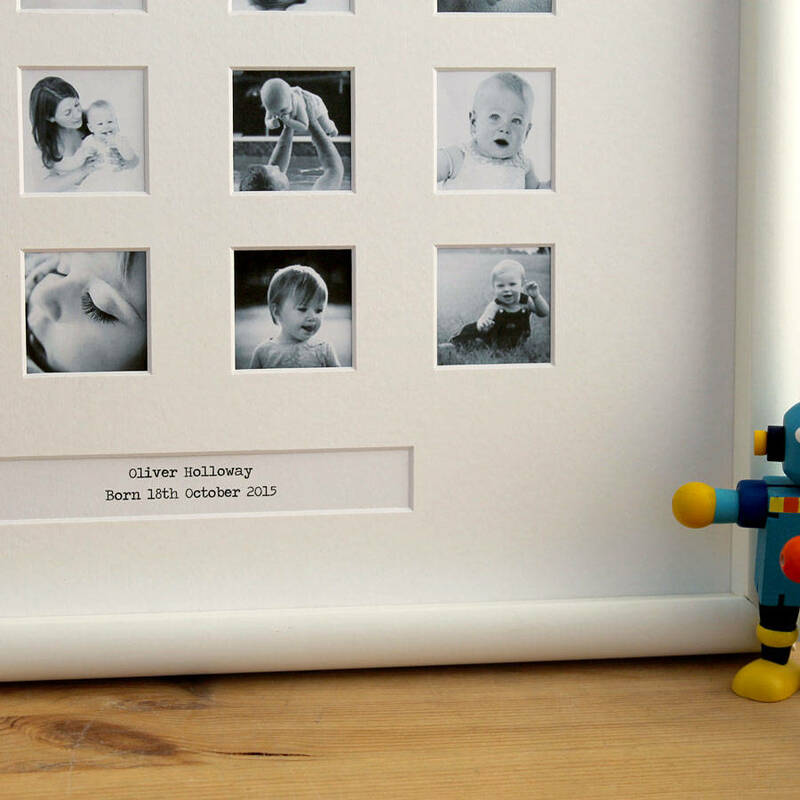 A beautiful Personalised First Year Large Frame to capture your baby's first twelve months. 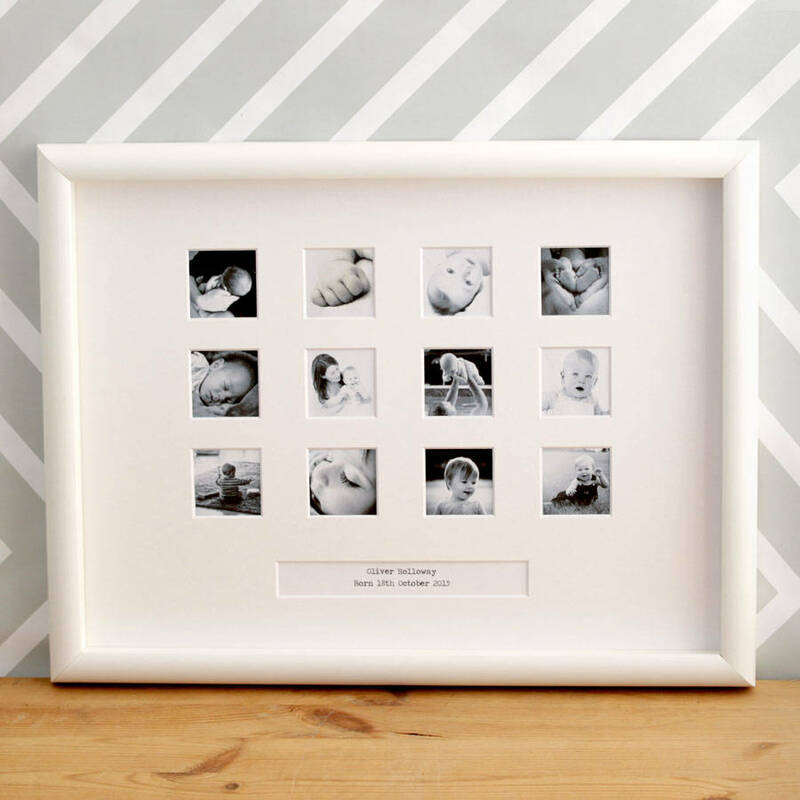 This beautiful frame is perfect for a Christening or birth gift. It has a simple, yet elegant design and will fit in with any decor. 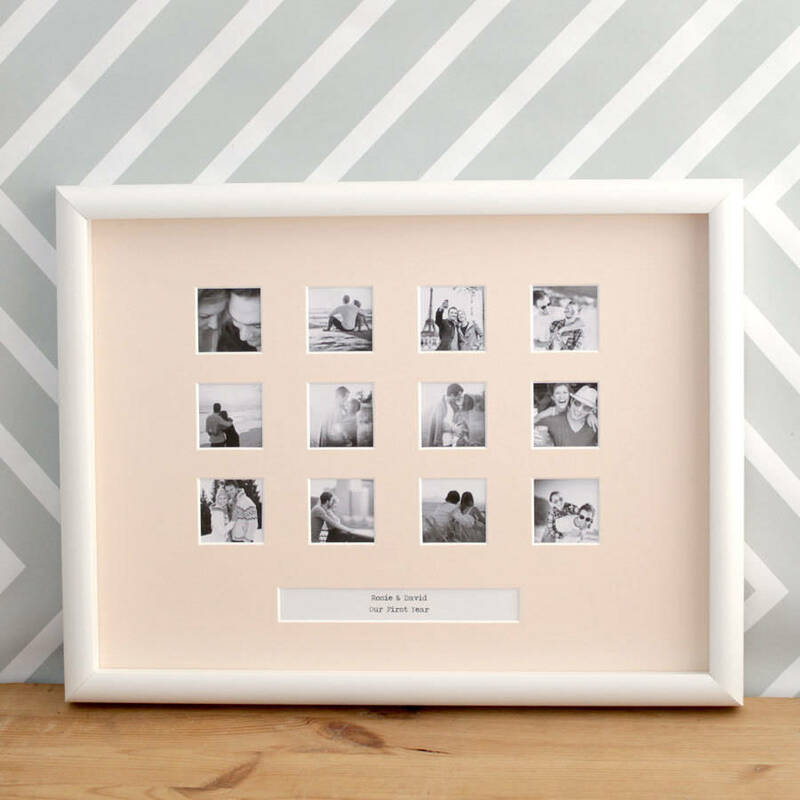 It has twelve square windows for you to put your photographs inside. It can be persosnalised with your child's name, birth date, weight etc, or simply a lovely sentiment of your choice in the window that runs along the bottom. 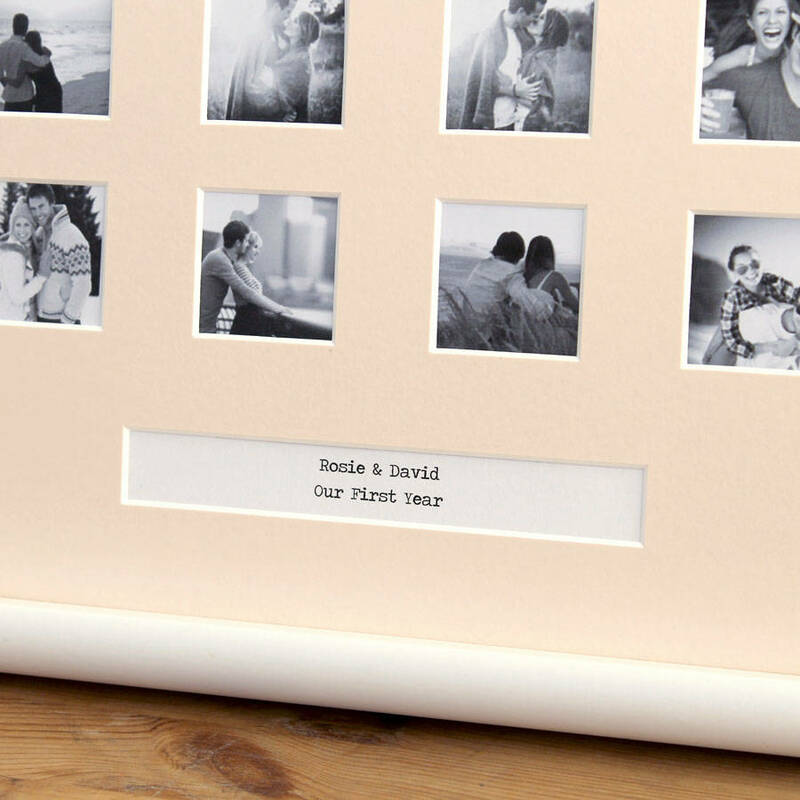 Alternatively, you could use the frame to document the first year with your partner, it's up to you! Please Note: Unfortunately, we cannot deliver to Australia due to customs rules. The photograph windows are 5cm x 5cm. We do not play any role in the processing of your photographs or placing them in your frame. Front protection with shatterproof plastic instead of glass makes the frame safer to use.